Hello, Mitch. First, Tell us a little bit about yourself. Where you grew up, education etc. Howdy! I grew up in the great state of Jefferson, AKA northern California, in a family owned steel fabrication business. I went to Chico State and earned a degree in Geology, and moved to Reno, Nevada about ten years ago. I currently work in the environmental consulting industry, mostly doing hazmat stuff. I’ve been an active shooter since I moved to Nevada, having bought my first firearm, a GLOCK 26, about three months after moving here. Being a shooter in Nevada, I’ve learned quite a few lessons on targets and shooting locations. Mostly, target stands are pretty difficult to jury rig and still keep upright, and the best shooting locations are generally either too flat, or too populated. 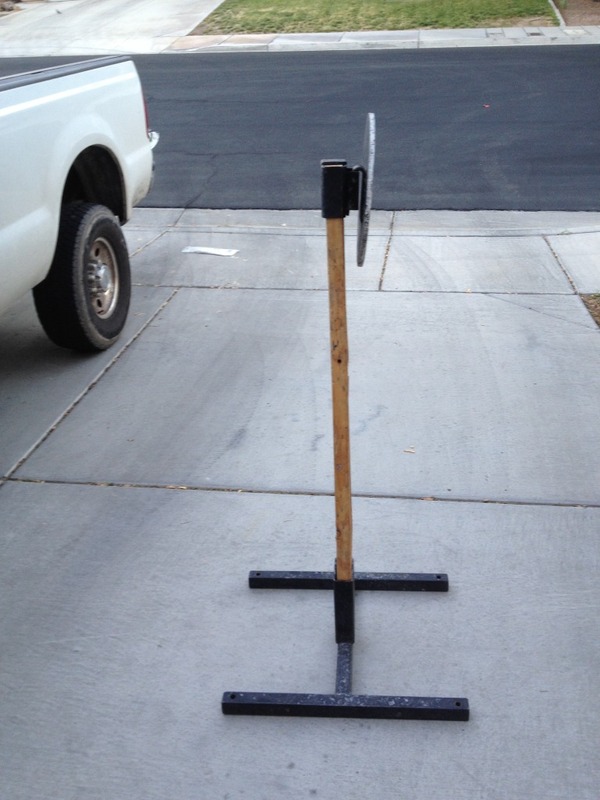 With that in mind, my target stands are designed to be easily transported, don’t require staking down, and can be used on rough terrain. 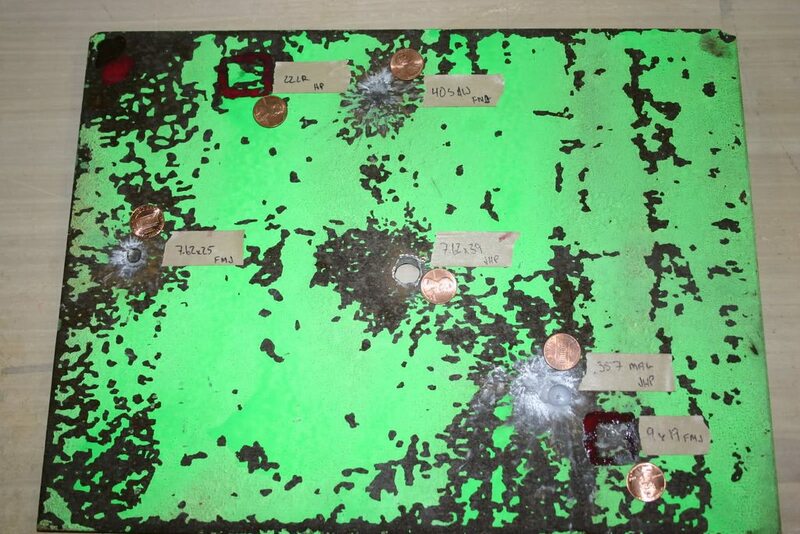 What are MOA Targets? What do they do? MOA is the acronym for Moment (or Minute) Of Angle. It’s a math term, which boils down to a rule of thumb. 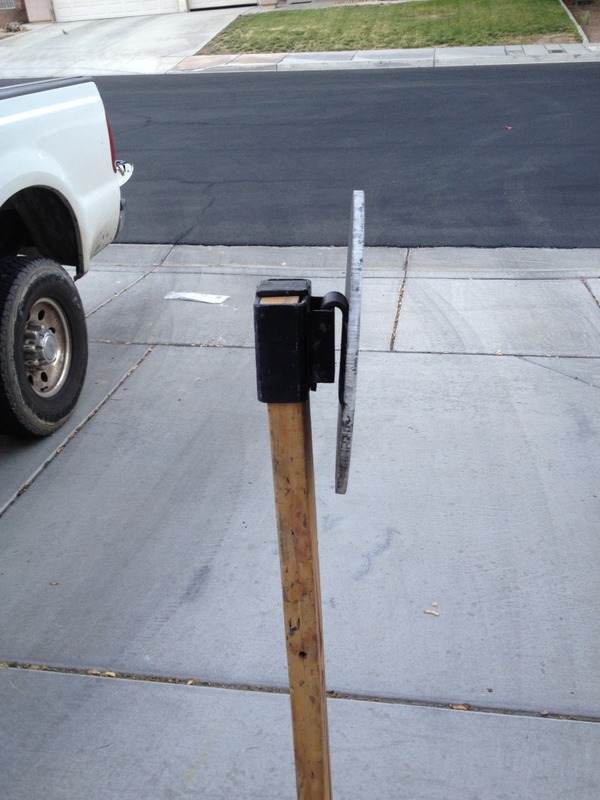 For every one hundred yards to the target, a minute of angle will be a circle approximately one inch in diameter. At 100 yards, that’s one inch, at five hundred yards, five inches, and so forth. I named my company MOA Targets as a nod to precision shooters who like to use AR500 steel targets so they can hear the impact, and not have to go mark a target or break out the spotting scope. 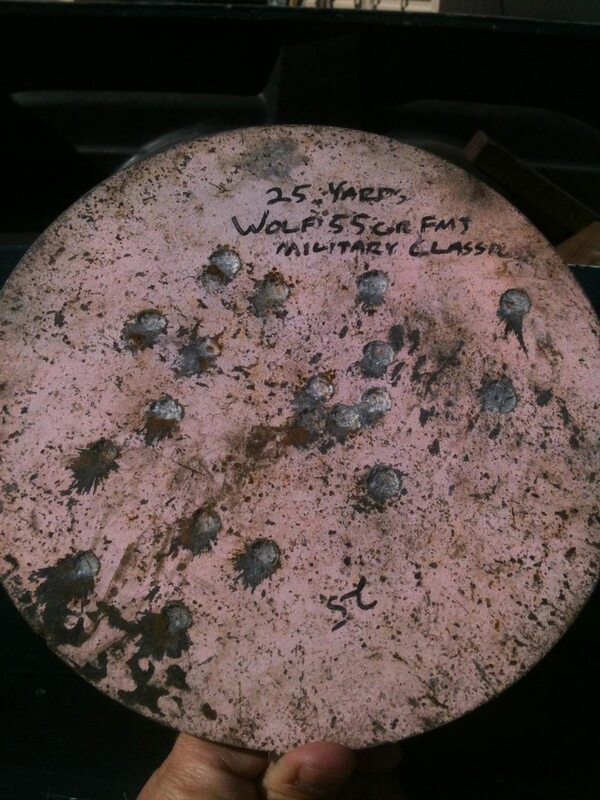 What makes my targets special is that they are cut on a 4,000 Watt CNC laser table out of AR500 spec steel. This steel is the industry standard for rifle targets, and is pretty much a “forever” target for pistols. I’ve spent a lot of time (and money) shooting things up over the years, and I’m applying that experience here. 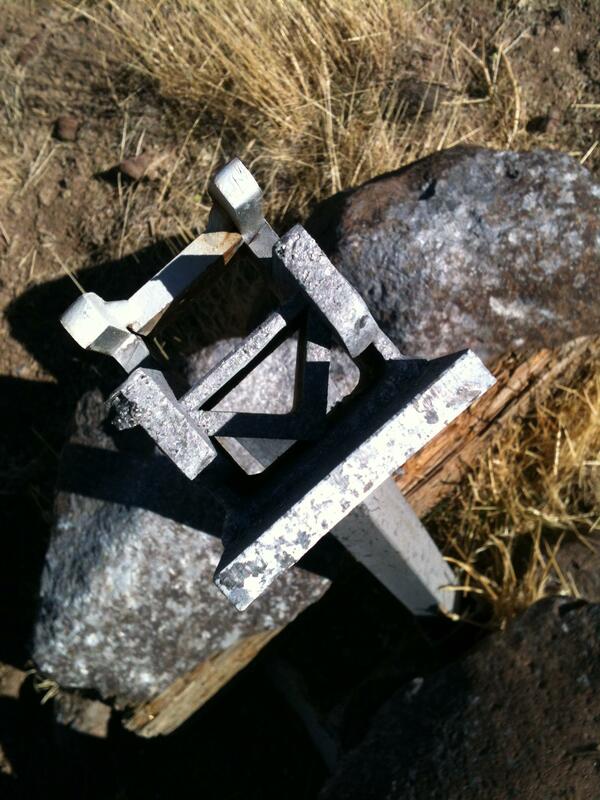 Wherever practicable, I use square holes for mounting, and I don’t weld on the targets. Welding can create soft spots where the temper is lost. Likewise, cutting methods such as oxy acetylene and plasma can leave soft edges due to heat soak while cutting. Using a laser minimizes the heat soak. 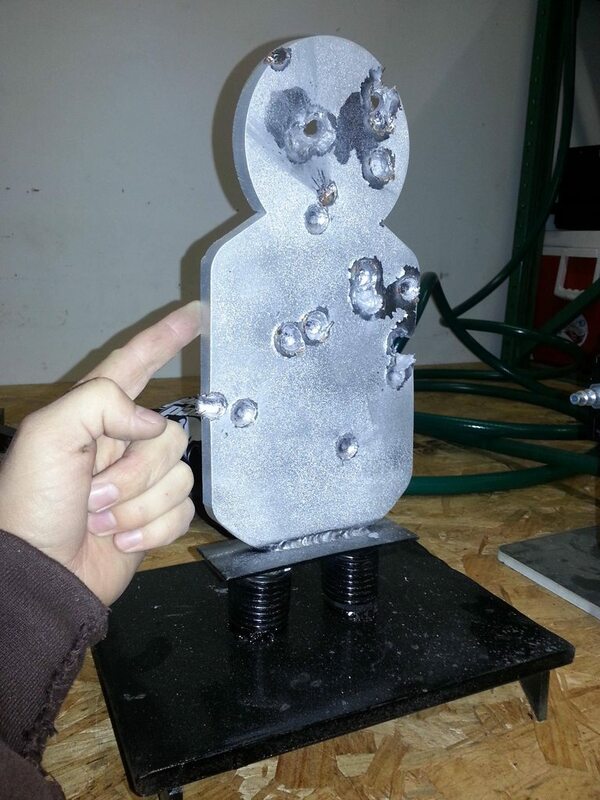 On 3/8” targets, our flagship line, the heat soak is generally less than 1/8th of an inch from the cut edges. 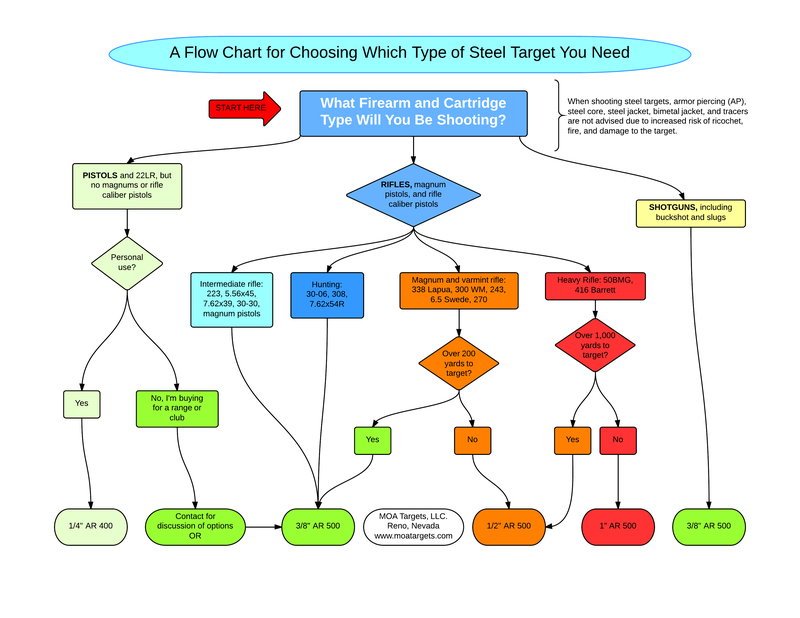 What is the difference between AR500 steel and other targets? What are the advantages to using AR500? AR500 steel is the industry standard for rifle targets, and has a Brinell hardness rating of approximately 500 . 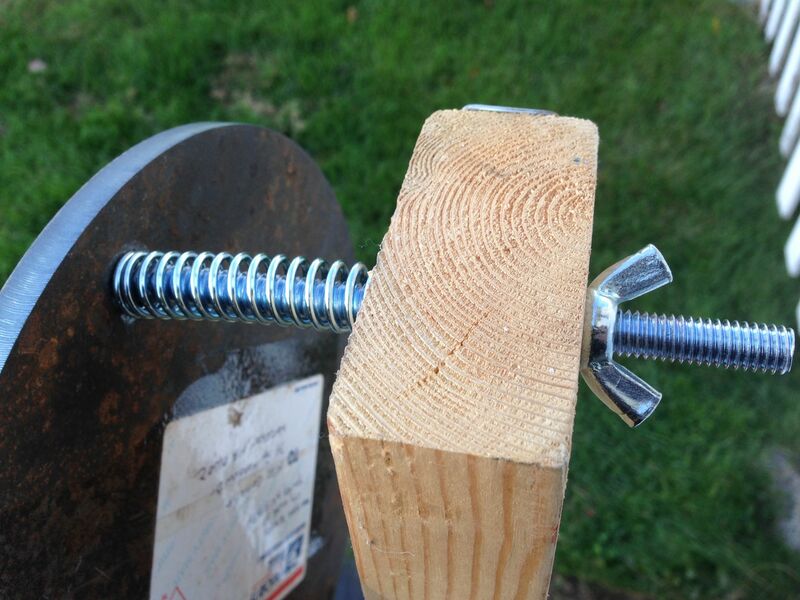 Mild steel, which is what most people have laying around, has a hardness around 120. Pistol rounds will readily dent ¼” mild steel. 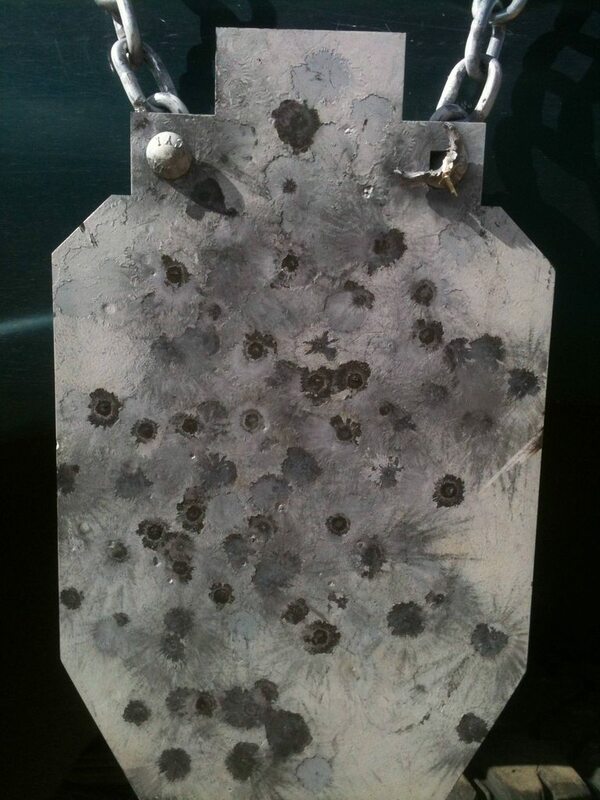 ¼” AR500 won’t show any effect from centerfire pistol rounds at 12 yards. Magnum may mar ¼” AR500 at 12 yards. 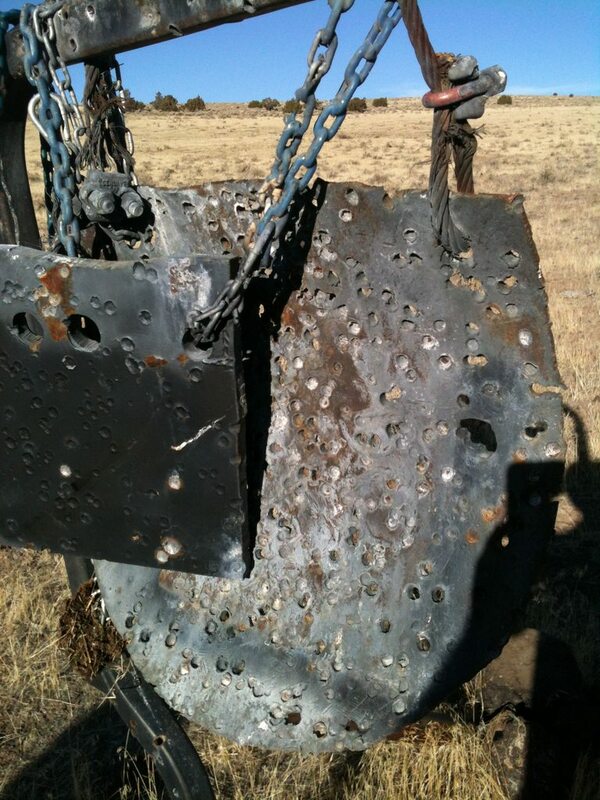 Dented, pockmarked, and penetrated steel can throw spall and cause ricochets. Don’t shoot damaged steel. What kind of client are you hoping to attract? I’m interested in the paying kind of client, mostly. That being said, I’m first and foremost a shooter and a do it yourselfer. 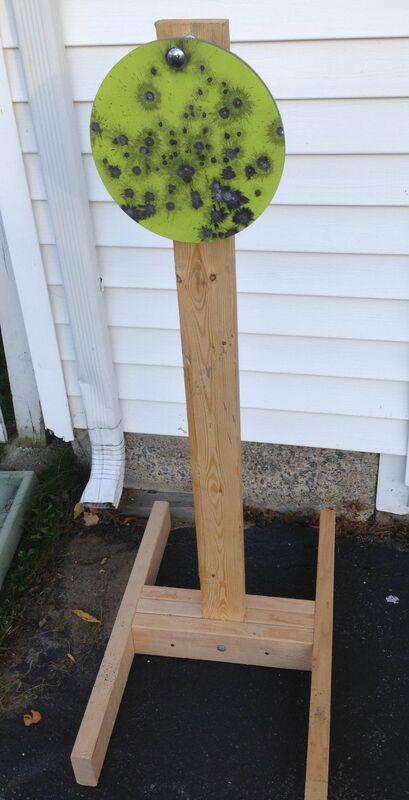 All of my targets, stands, and accessories are designed with the do it yourselfer in mind. 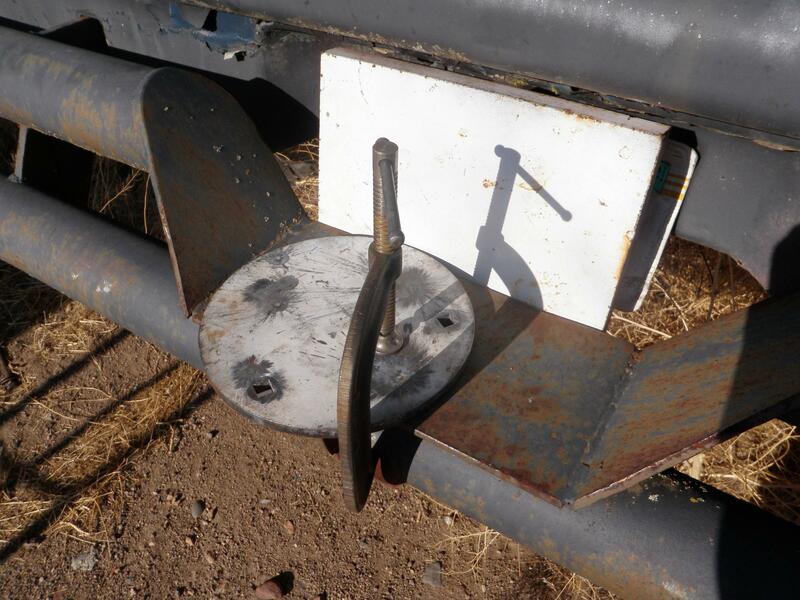 Any product that requires welding to use is available as both a weld kit and a finished product. All products come unpainted, as you’re just going to shoot the paint off, so there’s no point in me selling you paint and my time. I’m also interested in talking to creative people who want to come up with new target designs. And why should they choose you over other AR500 target manufacturers? Well, for folks in Northern California and Northern Nevada, I’m a shoe in because I’m local, and I’ll meet you for lunch to deliver targets if need be. I can deliver by the individual piece, or by the truck load. I have access to a full freight delivery system for the West Coast, and can get you what you need in an affordable fashion. For folks who are outside my immediate operating area, I offer multiple shipping methods, and some of the best prices in the ‘Verse. Do you take special orders for different shapes and/or sizes? Or we get what we get? 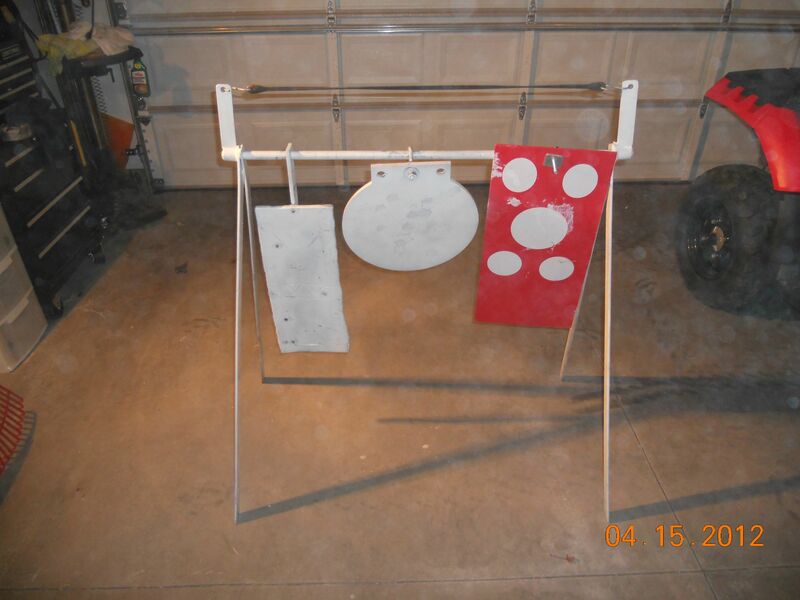 If your desired target can fit on a five by ten foot sheet of steel, I can make it. Send over your design and let’s talk. If you don’t see something on the website that you’d like to see, let me know, and I’ll see what I can do. I was in business exactly five hours before I got my first request for a custom target system by a law enforcement agency. That system has been developed and tested, and will be going into production very shortly. Any closing remarks? Something you want to say to potential clients out there? It’s a little known fact that a moa is also an extinct flightless bird from the South Pacific. Since you’ve now read that, it’s a slightly little more known fact.